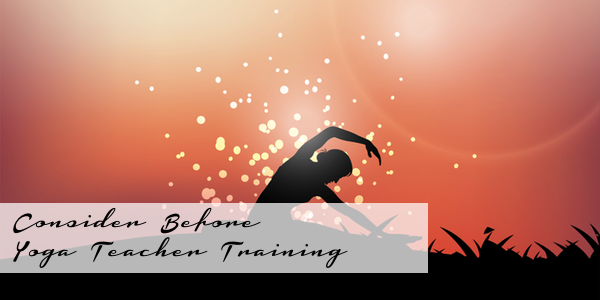 What Should You Consider Before Your Start Yoga Teacher Training? If you are reading this article, you are probably pondering whether yoga teacher training might be right for you, or are already seriously considering taking the plunge. However, instead of leaping into the unknown, unaware of what lies ahead, read on to discover what awaits you, should you decide to sign up for training classes. Remember a time when you came across a group of people who couldn't stop talking about something about which they were enthusiastic. They bent your ears with their passion didn't they? Well, you are about to become one of them. Indeed, you are bound to meet like-minded individuals who will happily while away the hours talking about asanas with you. Hopefully, your friends who are not into yoga will understand. Vancouver yoga training can provide you with excellent know-how from talented teachers. However, whether you become a master practitioner, adopting skillful poses with ease and becoming a trainer who commands respect, is down to you. Ultimately, you are the one who is going to put in the practice hours, or not, in order to achieve a level of expertise. How far you go depends upon your commitment and staying power. Learning and teaching yoga are experiences that go far further than simply scraping the surface of your personality. In fact, you might find that the real you emerges as you train. Emotions could arise as you get to grips with gaining greater self-awareness alongside other students, and eventually, when you are a teacher, you could witness the same happening for your own pupils. Be prepared to encounter intense friendships as you stretch your body and mind. Yoga training will involve you extending your reach in many ways. As you learn new poses, you could find that you ache. Additionally, you will need to make time to practice, and are likely to be required to eat, breathe and sleep yoga even when not attending classes. You will come across challenges that surprise you, including having to learn how to propel your voice and instruct pupils while adopting poses, which is not an easy feat. A 200 hour yogateacher training course will occupy time during the week, and take up most of your weekends over a period of several months. Theory, such as learning about the chakras will be required, and you will probably face reading countless books. There will be days when you feel connected to everyone and everything. You will be elated. However, there will also be days when you feel emotionally sore, and have to push yourself to continue. You could clash with fellow students on occasion while making wonderful friends out of others. You can expect yoga teacher training to be a rollercoaster rather than an easy ride. Yoga training isn't for everyone, but the rewards of teaching are incredible. If you can imagine greeting challenges with stamina and look forward to them, you are on the right track. Do you have questions for us? Follow our conversations on Facebook & Twitter! Very interesting and informative blog and about the fitness traninig center i must appreciate your work well done keep it up.